Research by the University of Southampton has provided new insight into the consequence of accumulated 'misfolded proteins' in neurodegenerative disorders, such as Prion and Alzheimer's disease. Prion and Alzheimer’s disease are protein misfolding brain diseases, where genetic mutations, or more commonly, interactions between an individual’s genetics and environmental influences cause functional proteins in neurons to become misfolded or misrouted. In these diseases, there is a progressive death of nerve cells in specific brain regions, which is associated with the increasing extracellular or intracellular accumulation of misfolded proteins. This leads to synapse degeneration and eventual loss of nerve cells and cognitive and behavioural conditions associated with the disease. 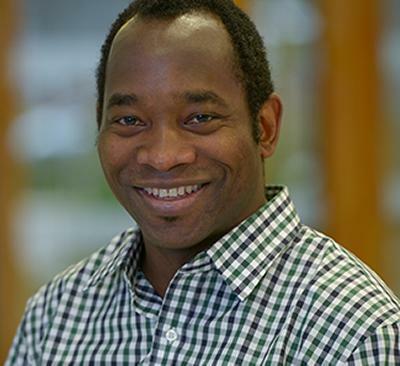 To increase the understanding of the disease mechanisms, the researchers, led by Dr Ayodeji Asuni from the University’s Centre for Biological Sciences, compared prion disease brain tissue, which mirrors key features of Alzheimer’s disease, and the brain of control mice. They found that the degenerative process is paralleled by an increase in astrocytes – a major support cell in the brain – and four specific astrocytes-associated proteins: GFAP (structural protein), peroxiredoxin-6 (an antioxidant protein), EAAT-2 (glutamate transporter), and Clusterin (a chaperone protein). These are produced in greater amounts in response to the misfolding protein, perhaps to provide support and protection for neurons in the brain. Current research has identified Clusterin as a biomarker for Alzheimer’s disease and Dr Asuni’s team extended their investigation to address whether Clusterin changes in the brain could be detected in the blood; such a result would have confirmed Clusterin as a potential biomarker for brain disease. Dr Asuni says: “In contrast to observations made in Alzheimer’s disease, the increased Clusterin expression in the brain was not reflected in the circulating levels of Clusterin in late-stage prion disease. The study, which is published in The Journal of Biological Chemistry, was carried out in the University’s Centre for Biological Sciences as a collaboration between the labs of Professor Vincent O’Connor and Professor Hugh Perry. The research effort was led by Dr Ayodeji Asuni with contributions from Dr Bryony Gray, Dr Joanne Bailey and Dr Paul Skipp. It was funded by the Medical Research Council.